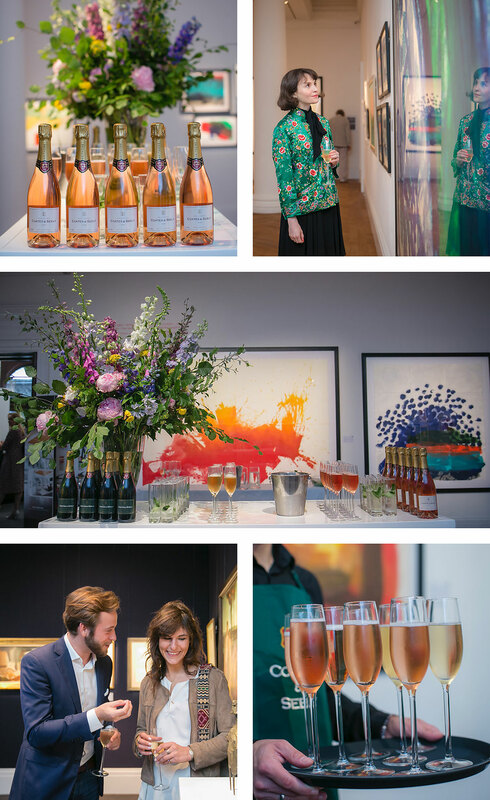 Coates & Seely were delighted to have their Brut Reserve and Rosé sparkling wines served at a glittering viewing of Modern & Post-War British Art at the Sothebys galleries in London. This is one of the most exciting categories of the global art market and the night was a celebration of the best of modern British genius, with works from artists such as Howard Hodgkin, L S Lowry, Ben Nicholson, Barbara Hepworth and Stanley Spencer, amongst many, many others. Coates & Seely are proud to be British, and to be served by such a peerless leader of the art world, and were rarely more so on an evening like this, in galleries be-decked with stunning art and fabulous floral arrangements.